HP & the Cursed Child picks up from where the epilogue of DH left us as Albus Severus is getting on the train. Living in the shadow of his famous father, he struggles to find a place in the wizarding world as he lacks the instinctive magical abilities of Harry and is immediately sorted into Slytherin upon arriving at Hogwarts. He becomes firm friends with Scorpius Malfoy and, determine to prove themselves the equal of their parents, they strike out on an adventure. 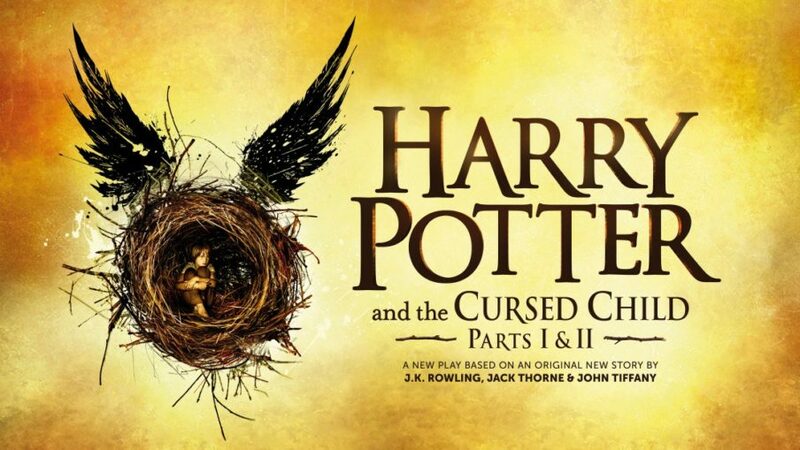 The story is ok, but as a play, it has none of the magic of Rowling’s writing to smooth out the fast pace of the place or the vast amount of information you have to take in. None of the old characters sound the way they are supposed to, even accounting for the passing of time and their new roles as parents and public figures. To conjure the rich world of Harry Potter, you have to rely totally on your imagination and past experience, as there are no included notes on set direction. Its redeeming features are the characters. Al is every grumpy teenager ever, while Scorpius is funny, smart and brave. Together they have the kind of friendship even the Trio would be envious of. The Trolley Witch gets her own surprising scene, and it was nice to finally hear why Ginny fell in love with Harry. I feel like that this book was designed to address the fan’s questions about time-turners but completely ruined it by rejecting the accept rules of how they work. I’ve kinda come to the conclusion that JK Rowling did not come up with this idea. It kinda reads like really good fanfiction, and I don’t think she would be as lazy as to conceive of such a villain. I’ll still go and see the play if I can, but I don’t know if I’ll ever pick this up and read it again.